 It’s often said that good things come in threes, which is exactly what Dave Hodson will be thinking when he laces up for the Perth Chevron City to Surf for Activ on Sunday 26 August, along with three generations of his family. An active family with an enthusiasm for running, Dave, his two sons, daughter and three granddaughters have completed an impressive 552km or more between them, almost equating the distance from Perth to Kalgoorlie. While Dave is a 30-year legend of the 12km Chevron City to Surf for Activ and participant of the annual fun run since 1982, this year marks the first event for the newest addition to the family, baby Lily, who will be just five months old when she crosses the finish line with her mum, dad and granddad Dave. Although Dave initially ran on his own, he enjoyed running with his kids in a pram in the early years, and as they grew, he enjoyed the family participation of them all running together. Now, he appreciates the steady hum of a walk, pushing his grandchildren in the pram together with his sons while taking in the excitement and atmosphere of the day. The event attracts many top distance runners across Australia, but over the years it’s grown to be the oldest and most loved community fun run, because people enjoy the spirit of community, the inclusion, the comradery and the history behind such an iconic event. This year marks nine years of Chevron’s partnership with Western Australia’s most loved community and fundraising event. There’s a reason people like Dave and his family participate each year; because it’s the memories and the experiences that are shared and relived over and again.